Kids can benefit from chiropractic too! Even children with no pain or symptoms can receive benefits from regular chiropractic visits. There are currently a number of changes going on in the health care field today. One of the main shifts is away from crisis care and toward prevention and wellness care. Wellness care is taking care of people while they have no symptoms so that they don't get sick. The best people to get started with wellness care are kids. 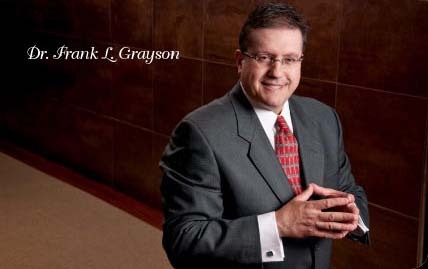 At Grayson Chiropractic Associates, we have a deep devotion to serving children of all ages. We often treat entire families - including children. Gentle chiropractic adjustments restore normal function and allow the body to work towards its optimal potential, physically, mentally and socially. On a daily basis, patients report that after their child begins receiving care, their overall health seems to be much better. At Grayson Chiropractic Associates, we do not treat conditions, nor are we here to replace appropriate medical care. Our focus is in the maintenance of a healthy, subluxation-free spine. We believe that all families should be given the opportunity to live a life free from drugs. Regardless of your condition or state of health, you and your child can benefit from a healthy spine! If you have any questions or concerns, please talk to us!